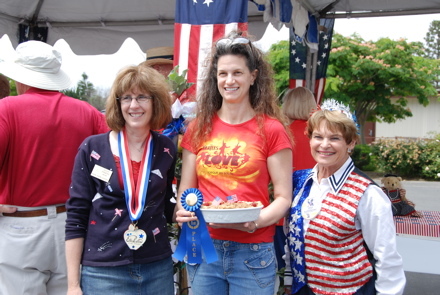 I entered the Palos Verdes Estates Fourth of July Apple Pie Contest and –believe it or not– I won first place! 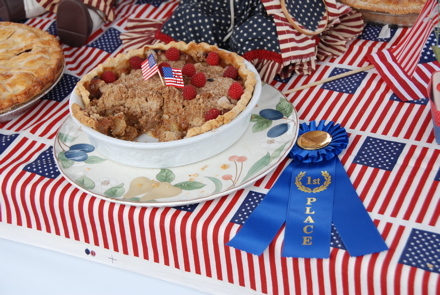 Out of a field of 20 pies, my crumble crust topped stunner was the winner. 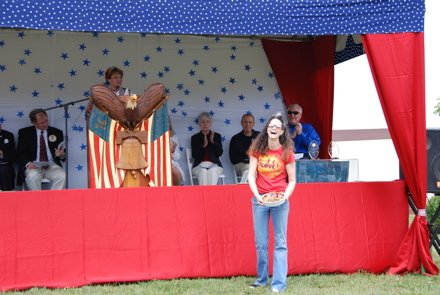 I humbly submit the following photos:(okay, maybe not so humbly): The first place prize was this Golden Dorsett Apple Tree, pictured above. 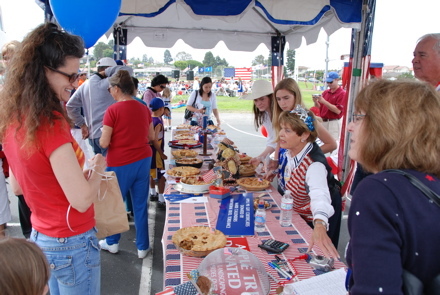 I also won a certificate good for a Marie Callender’s apple pie, since they were the ones who sponsored the event along with Bennett Landscaping and the PVE Homes Association. Thank you, sponsors! 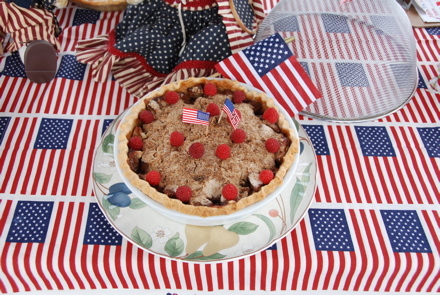 This entry was posted in Blogroll, Everyday life. Bookmark the permalink.